Touch For Health – Healing the world, one balance at a time! 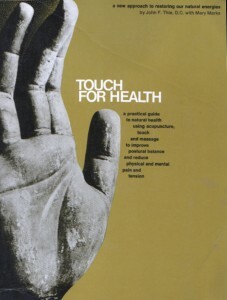 The Touch for Health Kinesiology Association (TFHKA) is a non-profit, member run, national organization, dedicated to educating the public about Touch for Health, a wellness system of holistic self-care and therapeutic balancing. In cooperation with the International Kinesiology College (IKC) in Australia, TFHKA supervises and maintains educational standards of Touch for Health in the United States.